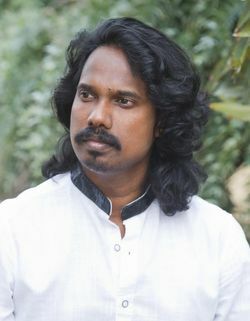 Lenish John was born in Kerala, a spiritual and culture rich part of Southern India in 1982 and transformed himself into a Yoga Guru and holistic healer over the last two decades. 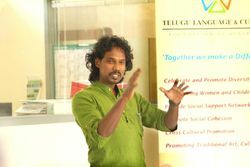 Raised in a strong family lineage of spiritual and ancient healing, he continued his spiritual journey and in high school came across Sanskrit, one of the ancient languages still alive today. Specialising in Sanskrit provided him with invaluable esoteric knowledge about nature and life as Vedic manuscripts of ancient times were documented in Sanskrit. Lenish was spiritual in nature and was obsessed about channelling his spiritual energy through art at the age of 19. This self-discovery inspired him to study a bachelor’s degree in Fine Arts. 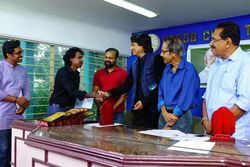 While studying fine arts Lenish happened to meet his Yoga Guru (teacher) Sri Jos Jacob, an internationally awarded Yoga Guru from a lineage dating back to Vedic India. This encounter helped him gain more insight into spirituality and set him on a new journey. Throughout his intensive Yoga training, he had to strictly follow many spiritual ethics and perform traditional rituals, such as Mantras (sound frequency of healing), Art of Yantra (mystical diagram of geometrical elements), and Tantric Yoga. Travelling through nature and sacred places to understand the orientation of energy and its magnetic field was also part of his training. He also assisted his Guru with the elderly and sick patients. As he followed a traditional one-on-one Yoga training (teacher-disciple) method he was also exposed to many other esoteric Yoga techniques that have nearly been lost over the years. After 9 years of regular practice under the guidance of his Guru, he was chosen to be the next Guru out of many other dedicated disciples, to continue this ancient method of yoga. In 2009, encouraged by his Guru, Lenish travelled to Australia to spread this ancient healing knowledge to the western world. 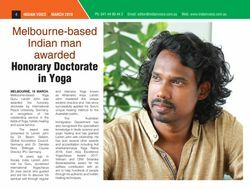 The Australian Government recognised his exceptional experience in Yoga healing and happily welcomed him with a ‘ Distinguished Talent Visa’ to share his knowledge and wisdom with the Australian community. 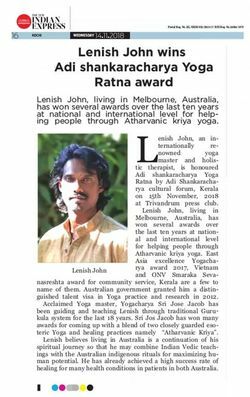 As a holistic healer and yoga Guru, Lenish believes being in Australia is a continuation of his spiritual journey so that he may combine Indian Vedic teachings with the Australian indigenous rituals. He has already achieved a high success rate of healing many health conditions in both Australia and India. Recipient of Distinguished Talent Visa from Australian Government. The sessions only In traditional Teacher-Disciple teaching method. It gives personalized special attention depending on the person’s particular health condition and one can ensure that he/she is practicing safely and correctly. This powerful and mystical Yoga practice can take you to advanced levels of Yoga and meditation in no time as compared to other practices available today. If you are someone seeking the fastest route to spiritual enlightenment, then look no further and book your first consultation FREE with Lenish John now! Lenish John has been teaching Tantric yoga to hundreds of people who need emotional healing, physical healing and ultimately spiritual awakening. 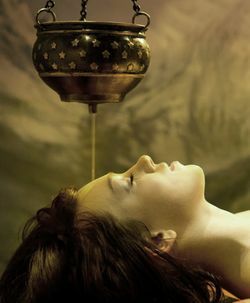 Tantric yoga is one of the powerful and in-depth practice through which Kundalini awakening happens. Once awakened the kundalini energy (rests at the base of the spine) flows up along the spine opening all the chakras in the body before it finally unites with the primordial energy in the Sahasrara chakra. This will gradually lead to enlightenment. Life begins when male and female energy unite. Therefore, both energies are inherent in each one of us. These energies’ imbalance (sometimes arising from certain circumstances in our life) in the body can cause mental and physical abnormalities. Tantric yoga gradually heals your abnormalities and removes your emotional blocks thereby leading to overall health and wellbeing. This results in better relationship with your family and friends while creating a deeper spiritual connection. After numerous years of research and practice as a spiritual healer, Lenish John has successfully blended principles of Vastu Shastra (Indian architectural science) with the Australian indigenous knowledge of the Earth’s magnetic field. He applies this theory, which is based on spiritual healing, to solve the many chronic health issues experienced today. As we are part of earth, our life and actions are constantly influenced by the energy fields within the universe. Ancient people were also aware of the impact that Earth’s magnetic fields, and dangerous geographical locations had on humans. They knew the places that would play a key role in their health and well being and celebrated some spiritual ceremonies there as part of their healing practices. According to Lenish John's practice, energy imbalances of the mind gradually reflect on your bodily functions which is the primary cause of all diseases. These diseases can negatively affect your emotions and overall happiness in your life. So, regaining your mental and physical energy through practice of Tantric yoga, Chakra balancing, improvement of life force energy and Aura cleansing is the key to living a happier and successful life. Energy imbalances of the mind can sometimes also depend on our personal and professional level of interactions with others. Whether you are building a new house or you are living in an existing one, Earth energy, clean air, pure water, proper sunlight are important elements for a healthy and happy life. Constructing buildings in harmony with all major elements is a painstaking task. Lack of any of these elements in your home can even cause significant health, personal and relationship issues. Energy orientation in an existing house is practically difficult without altering the architectural structure. However, according to Lenish John's practice and knowledge, energy orientation is still possible. A thorough understanding of which element is lacking in the building and causing energy imbalance is the first step in the practice of energy orientation. In some cases, his solutions involve cleansing energy in the house by performing a smoking ceremony and adding mystical diagrams called Yantras to the home interior. - Honorary Doctorate in Yoga. - Recipient of Distinguished Talent Visa from Australian Government.